This was made for a client who wanted a posh 15thC Burgundian style rondel and this fitted the description well. The original is most likely late 15th or possibly early 16th and again is possibly Italian. It follows the usual pattern of Burgundian style rondels in that the top disc is quite bulbous and the lower rondel is also thick but generally flat. 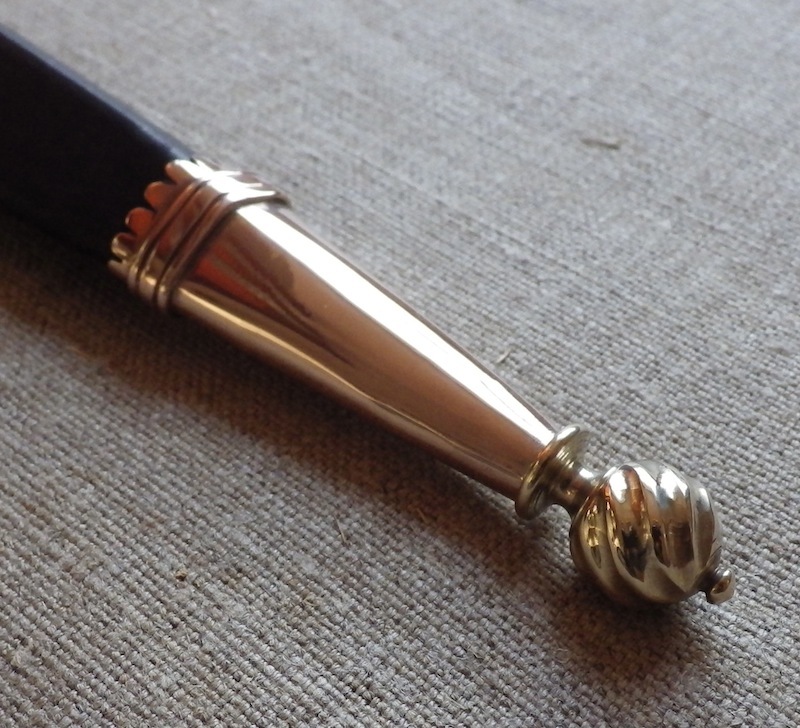 The hilts on these daggers were always showy and often utilised horn in their construction as this does. 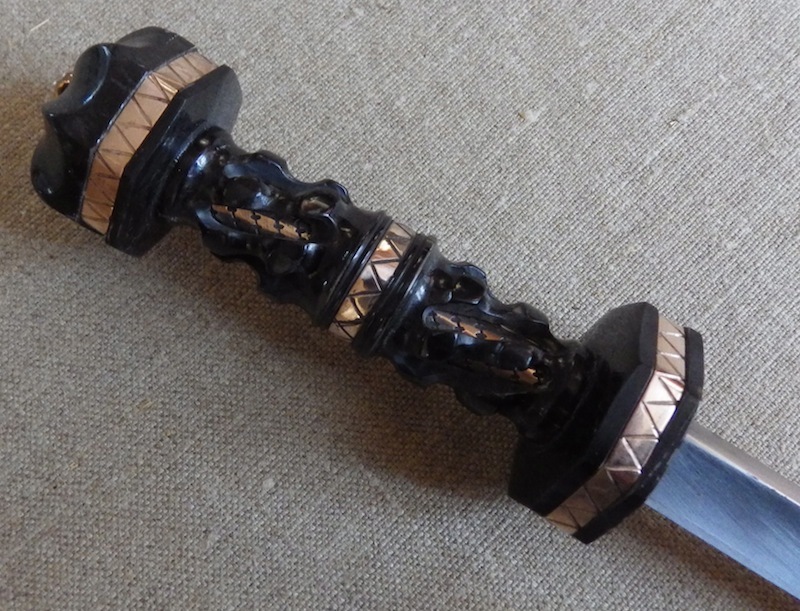 In this case the rondels and the grip are adorned with bronze panels. What makes this dagger unusual is that the horn handle has vents cut through to the core inside which is made from an engraved bronze tube. The blade is single edged with a severe hollow grind and a reinforced point making for a light but very stout blade. Also unusally for Burgundian rondels the blade is long at around 13". The scabbard is wood cored, leather covered and has a bronze chape. I have wanted to make this dagger for a long time and I am pleased with the result - I hope you like it too. And yes, it does scream "Burgundian" to me. The book it came from lists it as 'Italian?' I am not sure why they said this as it looks as Burgundian as can be, but I guess everything was made for the export market so maybe it is an export piece. Burgundian daggers usually had shorter and stouter blades and so maybe this is part of the clue that perhaps it is a little out of the ordinary. Either way it is a lovely dagger and one that had to live again. This is a fantastic piece. I enjoy seeing these types recreated. It's a style far too infrequently tackled by modern makers. With all the people going to so-called "Renaissance Faires", I never will understand why so many of those people go in garb and with equipment from times pre-dating the Renaissance! This would be an awesome piece to carry to a Tudor-themed event. Wow, what a beautiful piece. I'm sure the client is quite happy with it. Unfortunately this piece would go completely unappreciated by most who frequent our "Renaissance" Faires. Now if it mounted plastic jewels in the hilt and was carried by a pirate it might fit right in. Unfortunately this piece would go completely unappreciated by most who frequent our "Renaissance" Faires. Now if it mounted plastic jewels in the hilt and was carried by a pirate it might fit right in. . I dunno. It depends on the Faire. Out here in California, a good percent of the people who participated in such things were nearly the quality of those doing living history. Perhaps it's different now as this was 12+ years ago, but even now I'm sure mileage varies depending on the event and the location of the event. People out here took it pretty serious. Even then, a lot were doing medieval period (albeit, fairly accurately) rather than Renaissance. Seems to noble for me but its some brilliant craftsmanship! Beautiful work as always Tod. Quite possibly the nicest rondel I've ever seen. That would be me - and I certainly am! I did mention I had something a bit special in the pipeline when you posted about your new rondels recently but this really went beyond my expectations - Tod's vision has exceeded mine by a significant amount. 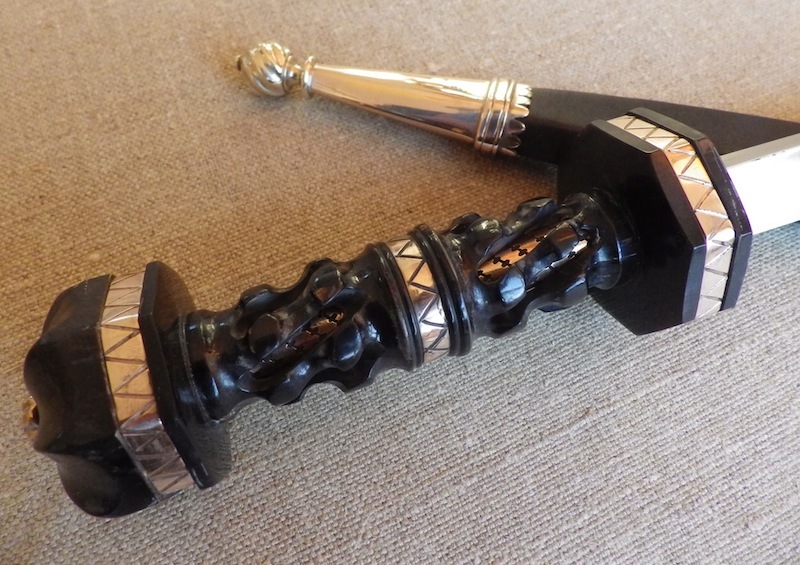 The idea here was to balance ostentation and practicality - a dagger that can be worn for Sunday best but has a substantial (I think the word I used when planning this was 'pugnacious') business end too. 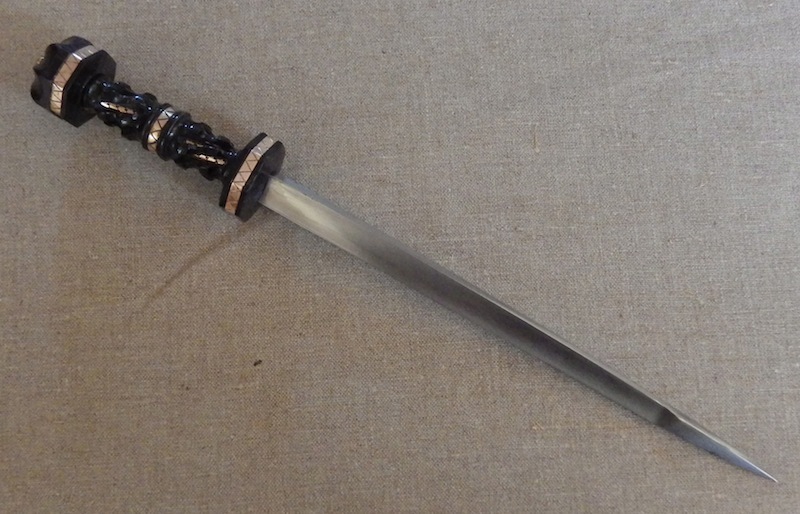 Although this dagger was snown some time ago, it's a REALLY stunning piece. 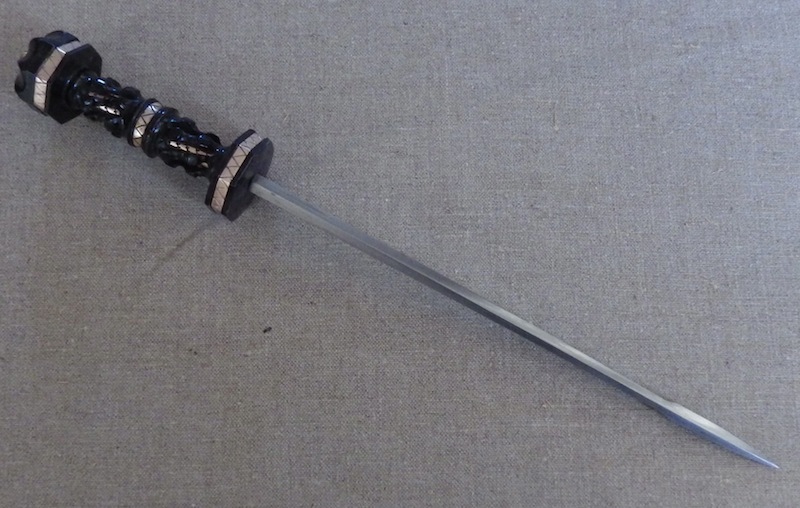 As I've never seen such, I just would like to ask, if we have period weapons with such grip - outer organic handle (doesn't matter horn or wood, or bone) and inner metal tube? Yes Boris we have; this is a copy of an original that Tod found in a museum catalogue (I think it's in the Museo Nazionale del Bargello), I was simply fortunate to have asked for something that gave him the opportunity to bring it back to life. 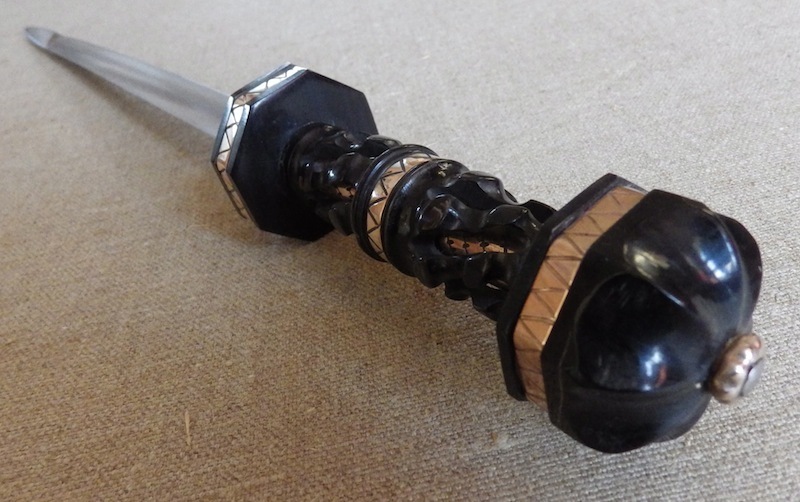 Also, Fabrice Cognot has posted a lovely bollock dagger he made here: http://www.myArmoury.com/talk/viewtopic.php?p...ht=#237396 - the original has a metal core.